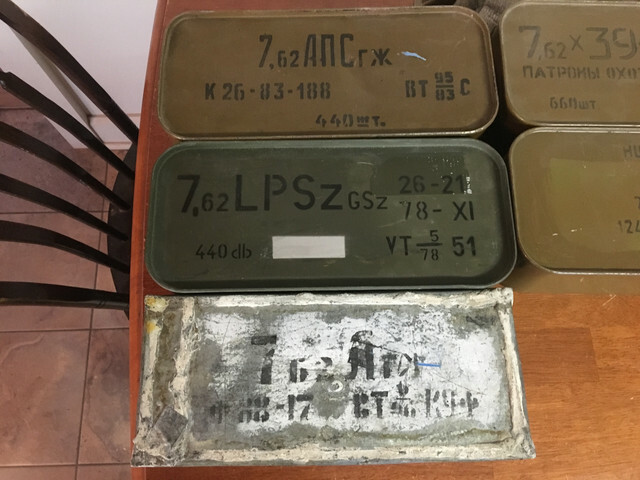 Got some Russian spam cans of 54r and 762X39. I paid $150 each. I am not all that sure what each of them are besides the silver stripe 54r one. also I have never seen the LPSZ on a can. I am really curious about the hunting cartridge as well.Any thoughts? I think the second x54r tin is Hungarian, and the bottom solder sealed tin may be a 300 rd tin. Been a while since I played ID my can...so memory may be a little off. I'm sure the x39 is something like Brown Bear or maybe Wolf.. good stuff to tuck up under the stairs......just in case. fried spam, yummy. wife refuses to let me eat it. 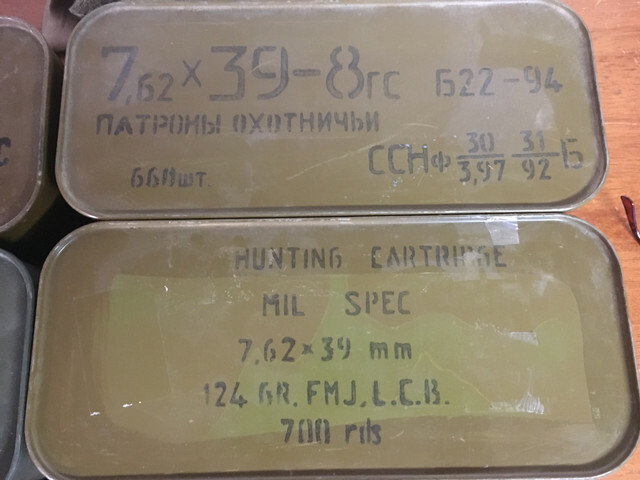 GM is correct on the dark green 7.62x54R light ball can, it's Hungarian, not Polish.